The 17-year-old boy accused of shooting and killing another teen at a school bus stop in Loudoun County, Virginia last month is a reputed gang member who believed he was killing a member of a rival gang, detectives said in court Thursday. Danny Centeno Miranda, 17, a sophomore at Park View High School, was shot in the back multiple times Sept. 4 as he walked to the school bus at E. Cornell and N. Duke drives in Sterling. 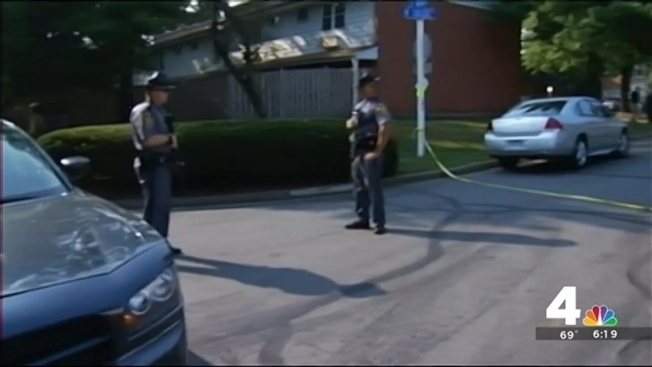 The teen was rushed from his neighborhood to a hospital, where he died of his injuries. Detectives testified in court in Leesburg on Thursday that the two men accused of being accomplices to the teen shooter said the shooter is an MS-13 gang member known as "The Mexican." Henry Ernesto Dominguez Vasquez, 20, and Juan Moises Aguirre Zelaya, 18, both of Sterling, said the shooter attacked Miranda because he thought he was a member of the rival 18th Street gang. The accused shooter's name was not released. Vasquez and Zelaya lived in the same townhouse complex as Miranda, who moved to the U.S. from El Salvador in late 2013 to escape danger in his home country and live with his aunt, uncle and cousins, his devastated family said. After the shooting, the gunman ran into a home, detectives said. Zelaya admitted to throwing away shell casings, and the gunman used Vasquez' cell phone to call gang leaders in El Salvador to tell them what they had done, police said. Investigators found the alleged murder weapon inside a freezer, wrapped in foil inside a carryout food container. A neighbor of the slain teenager said she thought Miranda was targeted because he refused to join a gang. "Everyone said that he never wanted to be in the gang and ... the reason he came to America was to escape from that," she said, asking for her identity to be withheld. Miranda was quiet, humble and artistic, friends and family told The Washington Post. He worked as a busboy at the Benihana restaurant at Dulles Town Center, a coworker said. The case has drawn the attention of Sen. Chuck Grassley (R-Iowa), who is chairman of the Senate Judiciary Committee. Grassley sent a letter to the head of the Department of Homeland Security asking why the accused shooter and two accomplices had not been detained or deported. He says they crossed into the U.S. illegally in 2013, as unaccompanied minors, and failed to appear at a 2015 hearing when deportation orders were issued. "Had these subjects appeared for their mandatory court date, they would have likely not had the opportunity to murder a 17-year-old high school student," Grassley wrote. The letter demands answers on the immigration statuses and criminal records of the accused shooter and accomplices. Judge Deborah Welsh ruled there was enough evidence presented to move both charges against Zelaya forward to a grand jury for consideration. But in the case against Vasquez, his defense attorney succeeded in showing his client didn't handle the gun, nor did he know it had been stashed in the freezer. Consequently, the accessory after a homicide charge is the only count to be considered by the grand jury in Vasquez's case.